Green smoothies are a favorite among health-conscious folks, but they are also a growing trend among those who are not on a raw or plant-based diet but who do appreciate the need to increase the nutrients in the foods they eat. While most of us want to eat better or to at least include more fruits and vegetables in our diets, many of us do not have time to cook healthy meals three times a day or the desire to eat the large amount of vegetables required to truly meet our bodies needs. This is where smoothies come in. It takes less time to prepare a smoothie than it does to prepare a conventional meal, they are packed with nutrients, and you can get several servings of fruits and vegetables in one convenient, delicious, portable drink. Drinking your greens is much easier than eating them, particularly when you can add sweet ingredients to make them more palatable and you can pour them into a reusable to-go cup to enjoy them during your commute or while running errands. 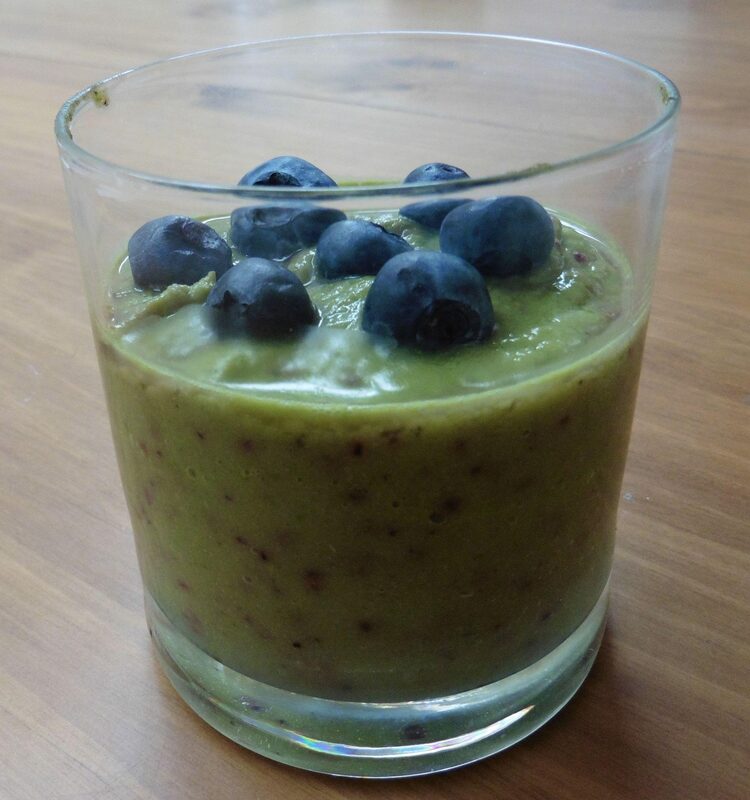 When you grow your green smoothie ingredients in your backyard, it is even quicker and more convenient to throw together a healthy breakfast that you can enjoy on the treadmill or on the go. With a little planning, you can design a smoothie garden that provides you produce throughout the year and allows you to enjoy a variety of fruits and vegetables as the seasons change. 1. You can enjoy the convenience of simply stepping outside when you need a handful of chard or spinach. This means you can avoid frequent trips to the grocery store for smoothie ingredients. 2. Smoothies require a lot of produce, and produce can be expensive, particularly if you buy organic. So you can save money by growing fruits, vegetables and herbs for your smoothies at home. 3. When you grow your own food, you know exactly what was used to grow it. This allows you to control what is on the food that you feed your family, and you can avoid toxic pesticides and fertilizers. 4. Rather than having to buy a large bunch or bag or leafy greens when you only need a handful, you can grow as much or as little as you want without the waste. 5. You can grow produce that might not be readily available at your local grocery store. If you want to venture out into the world of greens that goes beyond romaine and spinach, you will find that it is much easier to grow them at home; instead of, trying to hunt them down at specialty stores. 6. In most cases, the freshest produce is the most nutritious. The produce you see at your local market has often spent days — or even weeks — being transported to the store, and then could spend days more on the shelves before you purchase it. Nutritional value is being lost this entire time. Growing fruits and vegetables in your backyard garden allows you to eat them right after they are harvested when they are at the peak of freshness and most nutrient dense. 7. Fruits and vegetables can be left on the vine or plant until you are ready to use them. It does not get any fresher than right out of your garden, so that is a definite perk. But this also means that you do not have to worry about how to store particular types of produce or finding enough room to store it all. 8. When we buy produce from the store, it tends to go bad pretty quickly. This means that either you have to go to the store every couple of days and hope you buy the right amount or that you end up with a lot of wasted food. A backyard vegetable garden can help you have produce on hand when you need it, and the freshness means that it will keep longer once you bring it inside. 9. The locavore movement, which focuses on eating mostly or only foods that are produced locally, is a movement towards better health and better environmental stewardship. If this is of interest to you, it does not get any more local than your own backyard. 10. People are more likely to make healthy changes if they are easy and convenient and do not require a lot of extra time and effort. So if you are interested in moving towards a healthier lifestyle by including nutrient-packed smoothies in your diet, growing some of the ingredients in your backyard vegetable garden makes it more likely that you will stick with it. When planning your smoothie garden, one of the first steps is to make a list of your favorite smoothie ingredients. If you are new to juicing or making smoothies, you can make a list of the ingredients that you think you might like. You may also base your list on the nutritional value of particular types of produce, such as focusing on increasing your intake of antioxidants, vitamin A or vitamin C.
Here are 15 common smoothie ingredients that you might want to grow in your backyard garden. 1. 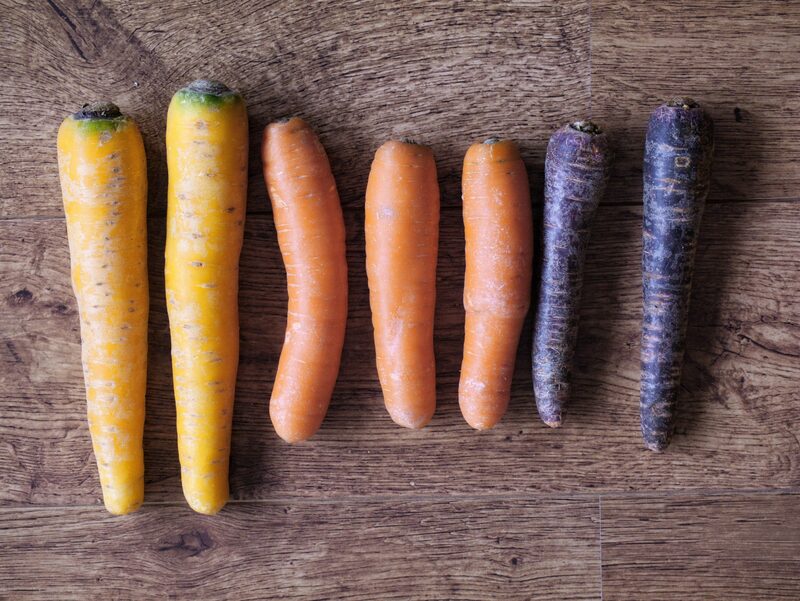 Carrots – Carrots are a staple in the world of green smoothies and are packed with vitamin A. They are easy to grow, and you can even use the carrot greens in salads or smoothies. As an added bonus, their sweetness can temper the bitterness of some leafy greens. 2. Kale – Kale is a favorite among health-minded folks and is very easy to grow. It prefers cooler weather, so you are more likely to have a successful crop when planted to harvest in late winter or spring. 3. Strawberries – Berries of any sort are a sweet, healthful addition to smoothies, but strawberries are particularly easy to grow in Southern California. They also add vitamin C to the mix, and surplus fruit can be frozen for use in future smoothies. 4. Parsley – This detoxifying herb can be grown in containers on your patio, in raised garden beds or in the ground. It is very easy to grow, adds a bit of vitamin A and vitamin C, and is a handy herb to have on hand for other culinary purposes as well. 5. 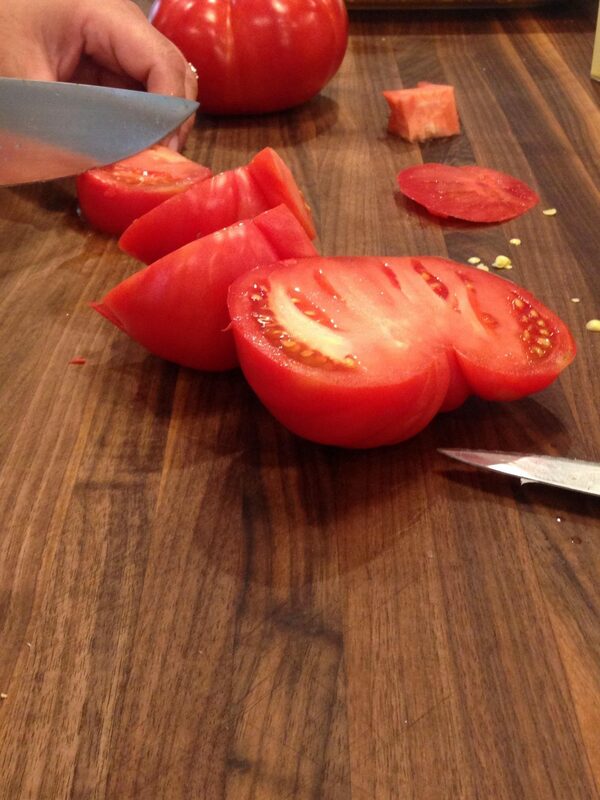 Tomatoes – Easy to grow and a standard in most gardens, tomatoes are great additions to green smoothies. Mix them with some basil, garlic, onion and parsley, and you have a savory smoothie that will have you coming back for more. 6. Chard – Chard is easy to grow and holds up to warmer weather better than most leafy greens, which makes it a great choice for use in coastal and near-coastal Southern California gardens. Give your smoothies a boost of antioxidants, vitamins A and C, and magnesium with this particular type of produce. Another nice thing about chard is that you can take what you need, and it will continue producing more leaves for you to harvest. 7. Spinach – Just one cup of spinach has more than half of the daily recommended allowance of vitamin A, which is one reason this easy-to-grow leafy green is a favorite among green smoothie lovers. This is another one that will keep producing as you clip off leaves to use in your morning smoothies. 8. Ginger Root – This is not something commonly grown in American gardens, but it is actually very easy to grow. You can simply buy a piece at the grocery store, cut it up into large chunks, place it in soil and enjoy the look of the resulting leaves for eight or nine months. Then you can harvest the root and start again. Ginger root is largely used as a medicinal herb that can be used in teas or smoothies, but it also adds a kick to main dishes. 9. 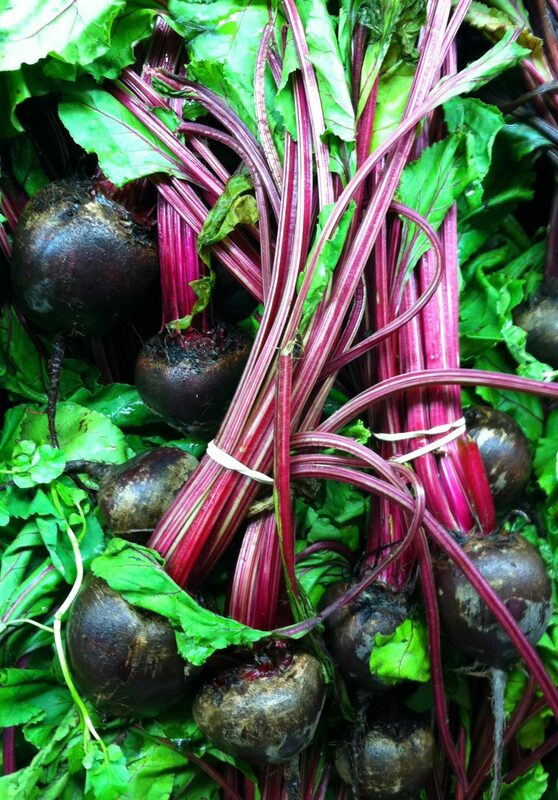 Beets and Beet Greens – Beets are packed with vitamin A and antioxidants and have been touted as having liver cleansing capabilities. This healthy root vegetable can be used in salads and roasted vegetable dishes and can make your morning smoothies a beautiful shade of pink. Do not throw out the greens, since you can also add them to your smoothies or sauté them as a side dish. 10. 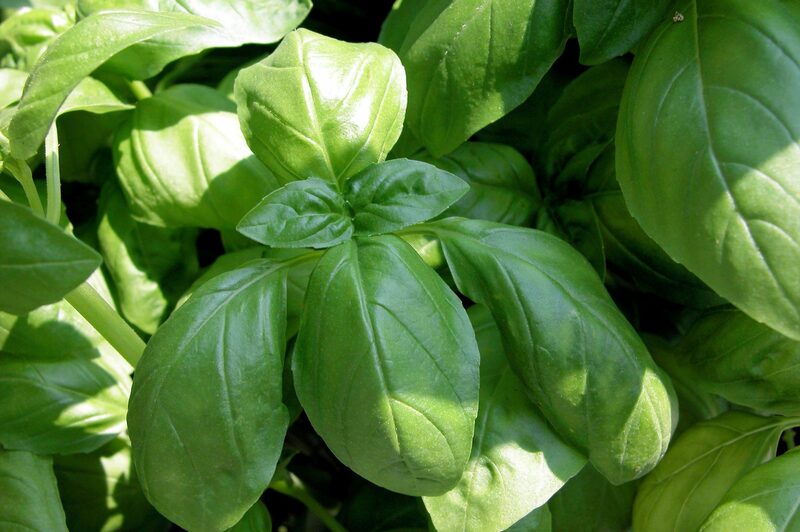 Basil – Basil is pretty standard in herb gardens and is a delicious addition to pastas, soups, stews and more. It can also add nutrition and a flavor boost to savory green smoothies. Grow this one in the ground, in flowerbeds, in raised garden beds or in containers on your patio. You can even grow it in a windowsill herb garden. 11. Mint – Mint is so easy to grow that it is considered invasive, so this one should be confined to a container or flowerbed with a good border. Adding mint to smoothies is the perfect way to improve the taste if green smoothies taste a bit too green to you. 12. Garlic – No potager is complete without garlic, and just a small amount of this healthful food gives smoothies a tasty kick. Garlic has historically been used for a variety of medicinal purposes, including warding off the common cold, lowering blood pressure and managing cholesterol. It is also a good source of manganese and vitamin B6. 13. 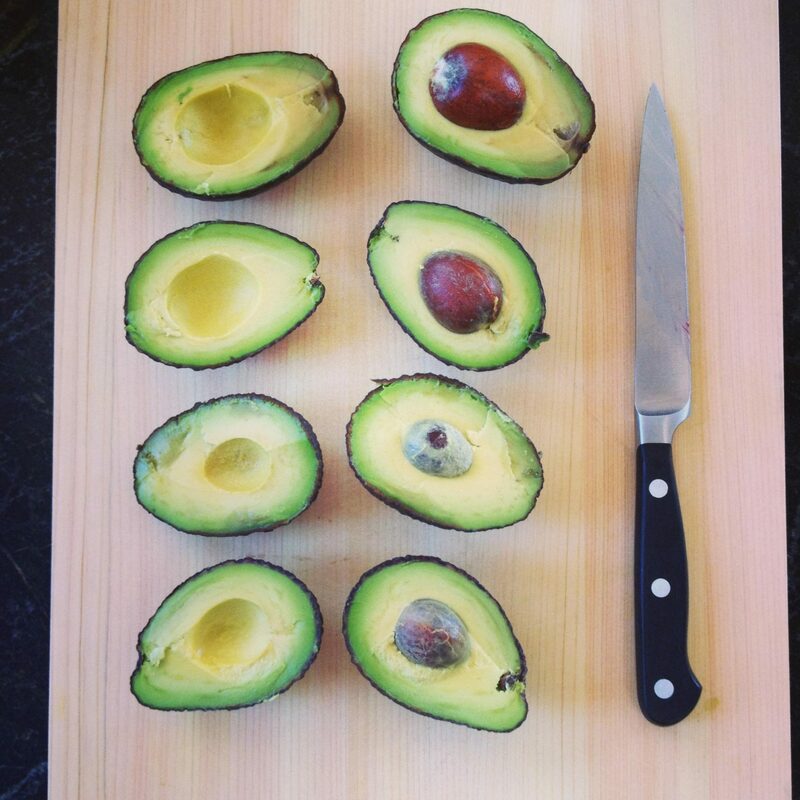 Avocados – Avocados are good sources of potassium, magnesium, vitamin B6, vitamin C and fiber. They also happen to be great additions to some surprising dishes, such as chocolate pudding and smoothies. They bring a creamy texture to the mix, as well as all of their healthful benefits. 14. 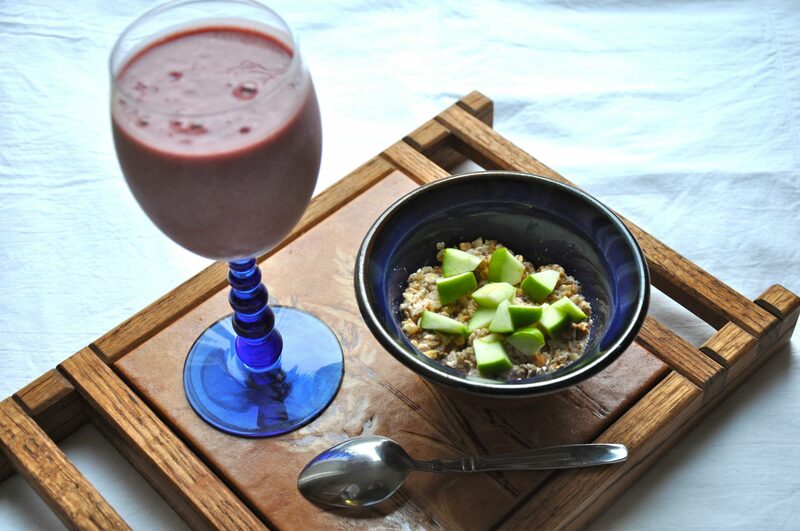 Peaches – Peaches are another stone fruit (like avocados) that make a great addition to smoothies. Packed with fiber and several minerals — like potassium, calcium, phosphorous, magnesium and iron — this sweet fruit can cut the bitterness of some greens while adding nutrition to your morning smoothies. 15. Blackberries – While most people do not think of growing blackberries in Southern California, they actually do better in heat than many other berries. They go dormant in winter, so be sure to harvest enough to freeze so that you can have blackberry smoothies all year long. You may also want to keep some other items on hand to pack even more nutrition into your smoothies. Some examples are ground flax seeds, chia seeds, cacao powder and maca root. You can find thousands of smoothie recipes online, but it is also fun to create your own concoctions from whatever is available in your garden. 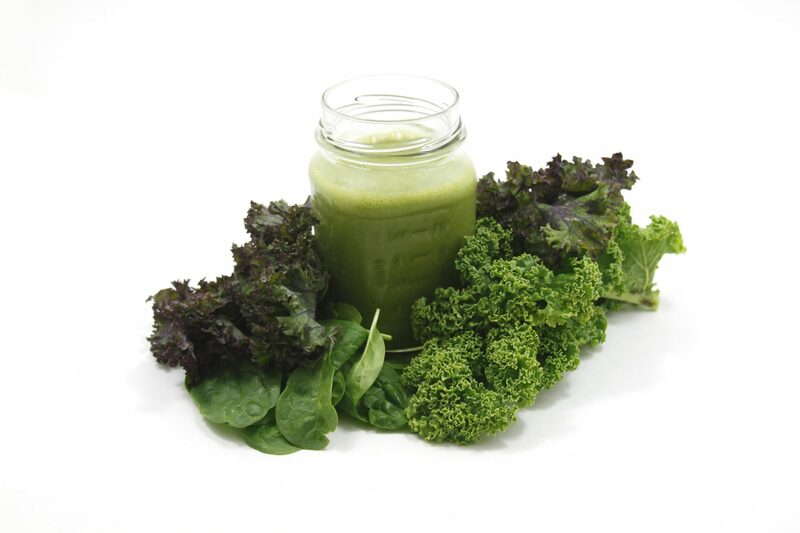 If you do not have a high-power blender, such as a BlendTec or Vitamix, you may want to put your leafy greens in your blender first, and then follow them with heavier fruits and vegetables that will help weigh them down for better blending.